At 6.25am on 24 June, 2016, an hour after it was clear that Britain had voted to leave the EU, a terse statement was circulated among press officers before being released to the outside world. The Irish Government, said the statement, "notes the outcome of the UK EU referendum this morning. The result clearly has very significant implications for Ireland…"
What was not fully appreciated then was that Ireland would also have very significant implications for the result. Two years to the day since the Brexit referendum, the Irish border - an issue ignored during the campaign - may end up constraining and dictating the Brexit destiny more than anyone could have imagined. Equally, it could be the rock on which an orderly withdrawal flounders. As things stand, significant amounts of the Withdrawal Agreement, the Treaty that will guide Britain out of the EU, have been agreed in principle. The Irish backstop remains unresolved. The indications are that both the EU and the UK are hardening their positions. "We’re clearly worried," says a senior official from one member state who is closely involved in the negotiations, "and I think there will be a signal coming out of [next week’s EU] summit that we’re very worried." That signal will, indeed, register the EU’s frustration at the lack of progress on Ireland, and will warn London that the two-year transition beyond March 2019 is at risk, and that member states will now accelerate plans for a no deal scenario. London appears to have priced in what British officials dismiss as a "finger-wagging" exercise. There also appears to be some satisfaction on the British side that what had once been billed as a make-or-break Brexit summit has now been crowded out by other issues, especially migration - a massive political headache for Chancellor Angela Merkel. "The draft conclusions [on Brexit] are only four paragraphs long," says one British official. "That points to the lack of bandwidth because of the other issues." None of this is easy then for the Taoiseach, who is under growing domestic pressure on the backstop. Officials insist that European Commission President Jean-Claude Juncker’s visit to Dublin this week was driven by his diary, but the timing could not have been more opportune, both in terms of signalling to the British government and to a restive opposition. "We want to make it clear again and again that Ireland is not alone," the Commission president told a news conference. 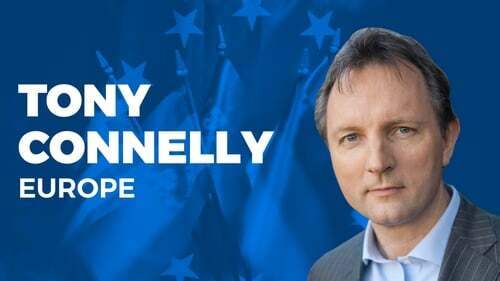 "We have Ireland backed by 26 member states and the commission – this will not change... I am strongly against any temptation to isolate Ireland and not to conclude the deal on Ireland. Ireland has to be part of the deal." While a strong reprimand by EU leaders that Britain is not living up to the promises it made in December’s Joint Report might appear ineffectual to some, Irish sources are content with the stark warnings over both the transition and the no-deal option. On Friday, Airbus, which employs 14,000 people in the UK, warned that it could pull out of the UK if London exited the single market and customs union without a transition. "We’re content with this [summit language]," says a senior Irish figure. "The Brits oversold the transition in March to their investors – the [European] Council is now saying, hold on a minute, that’s not guaranteed. The leverage is the transition. The message is ‘we’re not messing around here’." But how and when will that leverage bite? Senior British figures appear to have a spring in their step. Not only will the summit come and go with the anticipated reprimand, but Theresa May has had her authority strengthened after seeing off the rebellion by pro-EU Tories on Wednesday on the meaningful vote issue. British sources acknowledge that their version of the Irish backstop - essentially applying it to the UK as a whole in order to avoid checks on the Irish Sea as well as on the Irish border - needs more work. But they insist it has not been dismissed out of hand by the European Commission Task Force. That part is true, only insofar as the EU has welcomed the fact that Britain finally committed pen to paper. However, the reservations about the UK backstop offer run deep. Member states see it as London trying to grab a fix on their future relationship with the EU through the Irish issue. "It’s cheating the system a little bit," says one senior diplomat. "It’s using the Irish situation as a sort of leverage to get ahead. That’s a problem. The paper is good in that at least there’s something on paper. But it raises so many questions that it doesn’t really help." London dismisses such concerns by drawing as much attention as possible to its forthcoming white paper on the future relationship, pending another away day for Theresa May’s cabinet in Chequers. There is already considerable scepticism about the paper’s contents. Officials from a number of member states expect little more than a restatement of existing UK papers and speeches. The white paper is all about the future relationship beyond withdrawal. As such, the British government appears to be investing heavily in the political declaration that will accompany the Withdrawal Agreement, if and when it is finalised in October. That declaration is supposed to signpost the way to a future relationship between the EU and UK beyond Brexit. It will have several pillars, such as trade, how standards may be aligned, security and defence cooperation and so on. What will worry Irish and EU officials is that the UK is determined to link the Withdrawal Agreement and its most contentious parts - Ireland and Britain’s exit bill - to what is in the political declaration. The EU regards the declaration as just that - a political statement of intent that will be big on aspiration and short on detail (and prone to change, depending on the negotiations). London wants the exact opposite. "We’ll need to have something on the table that is substantive and precise in the autumn," says one senior British figure. Downing Street also believes there is conditionality involved. ‘We won’t agree to the exit bill unless you give us plenty of detail about our future trade arrangement in the declaration’, seems to be the gauntlet London is throwing down. "Legally, what’s clear from the draft Withdrawal Agreement text…," says the British source, "is that the financial settlement is part of the Withdrawal package. Therefore if there’s no Withdrawal Agreement then the financial settlement falls alongside everything else. "Politically, I don’t believe, nor does the prime minister believe, that [the British] parliament is going to accept a Withdrawal Agreement and enact the legislation and give legal effect to it in UK law, unless there is a precise and substantive document about the future partnership. "That is the political link between the two." By contrast, the EU believes that the exit bill of £39 billion or so is Britain merely settling its accounts and not some kind of quid pro quo on the terms of the future trade deal. Critically, for Ireland, London will also attempt to link the political declaration with the backstop issue. The British logic on this is as follows: Dublin would really prefer the border issue to be resolved through the future trade deal not least because East-West trade is more valuable to Ireland than North-South trade. "It’s not just we, but the Taoiseach too [says] we really want to see the question of the border resolved through the overall EU-UK relationship for the future," says the source, "particularly because that would address the question for Dublin of East-West as well as North-South trade. "If we come to arrangements which I hope we will - we have to have no hard border on the island - the question is, what happens to things that are shipped from Dun Laoghaire to Fishguard or Pembroke or Holyhead? "Are those to be treated the same way as goods shipped to Calais?" The source adds: "I think handling the backstop is intimately related to making progress about the declaration on the future partnership. These things hang together politically." The Irish Government has an entirely different view. The backstop will have to be there irrespective of the political declaration, or its outworking through a trade deal. The backstop will have to be legally operable unless and until something better comes along, is Ireland’s and the EU Task Force’s view. To counter this argument, Theresa May’s strategy on the European Commission’s initial draft on the backstop - that Northern Ireland remain inside the customs union and the single market for goods - is to double down on the claim, rejected by Dublin, that it poses a threat to both the United Kingdom and the Good Friday Agreement. British sources stress that this is not just pandering to the DUP. Opposition to the Commission draft, they say, runs right through the political spectrum at Westminster and the cabinet. "It is a grave mistake to forget that unionism is fundamental to how the Conservative Party sees itself," says a senior party figure. The senior figure suggests too that if the Labour Party is ever to get back into government it will have to recover lost ground in Scotland, and that would not happen if it permitted a border along the Irish Sea. Furthermore, London complains that the Commission focused almost exclusively on paragraph 49 of the Joint Report when drafting the Irish Protocol in the Withdrawal Agreement, ignoring paragraph 50, which promises to prevent any trade barriers between Northern Ireland and the rest of the UK (a promise that Dublin and Brussels insist was made by London, and not by the EU). A senior British figure also says the Commission’s version undermines paragraph 42, which talks about the need to uphold the Good Friday Agreement, and paragraph 44, which calls on all sides to abide by the principle of consent as enshrined in the Agreement, and the constitutional status of the UK. These claims are vehemently denied by Dublin. Senior officials have long argued that nothing in the backstop alters Northern Ireland’s constitutional position, and that such claims are simply a case of Britain "poisoning the well" of the overall debate. The European Commission regards its initial draft as the only way of reconciling the integrity of the single market and solemn promise of both governments to avoid any infrastructure, checks or controls along the Irish border. Nonetheless, the polarisation of the process, and the hardening of lines over Northern Ireland poses obvious risks. The Irish Government has always fretted that the peculiar and parochial conflict in the North would become, over time, an irritant to EU member states who may only have limited appreciation of its complexities. "There are so many irritants in this process that it would not be fair to single out Ireland," says a senior official from one member state. "It’s an irritant, yes, but an important irritant for us. There is certainly an appreciation of unionist concerns. On the other hand, if this is a deal breaker, the consequences of a no-deal would be much harder for them than agreeing to some kind of partial, separate Irish regime. And it should not be the first step in the reunification of anything." Despite alleged British efforts in lobbying capitals to weaken their resolve over Ireland in favour of unblocking the negotiations, that resolve appears intact. "Germans are very, very clear about this," says an EU diplomat. "For them this is much bigger. The threat to the unity of the 27 by abandoning Ireland is much bigger than any sense that their exporters are going to lose out." All this clears the way for a bruising summer and autumn. Theresa May is likely to cling to her current strategy of, on the one hand, being bullish about the political declaration and the implied threat of withholding the exit bill if that declaration doesn’t meet Britain’s future trading aspirations; and on the other, framing the Irish backstop in stark, constitutional terms. It’s a high risk strategy. The indications are that the available political oxygen in member states will now be given over to contingency planning for a no-deal scenario rather than exploring how trade with the UK can continue seamlessly post-Brexit. The process has faced moments of reckoning before - in December, when Theresa May finally moved to open the way for Phase II of the negotiations, and in March, when she made a commitment on the backstop in order to secure the two year transition. "This will be much more difficult," says one senior official, "because in December and March at least you could see a landing zone that would materialize – i.e Phase II and the transition. But here, we don’t even know which airport to look at."